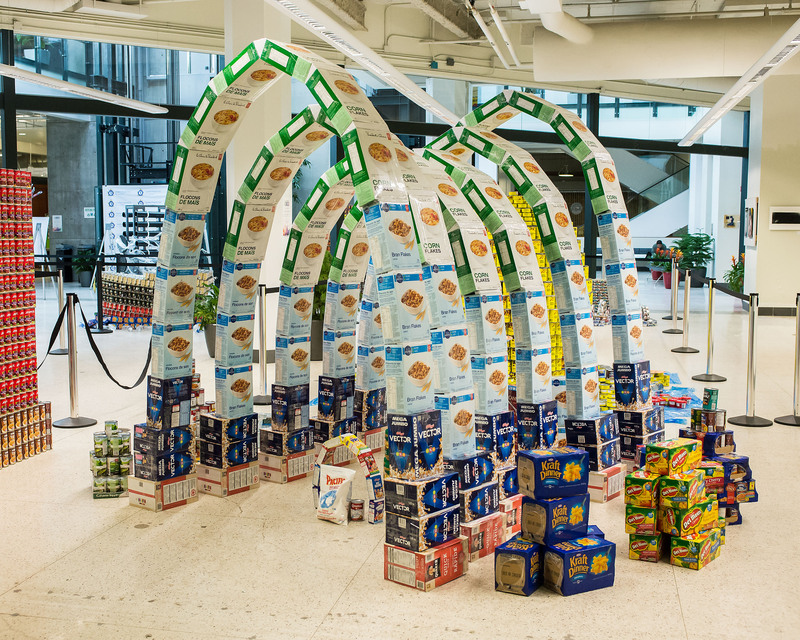 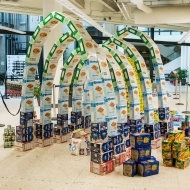 With calculated determination, our arched sculpture will help the Edmonton Food Bank assist others by providing the most important meal of the day with healthy cereals. 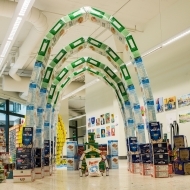 The trick to building such large arches is keeping everything aligned and regular – a task easily accomplished by such high fiber food. 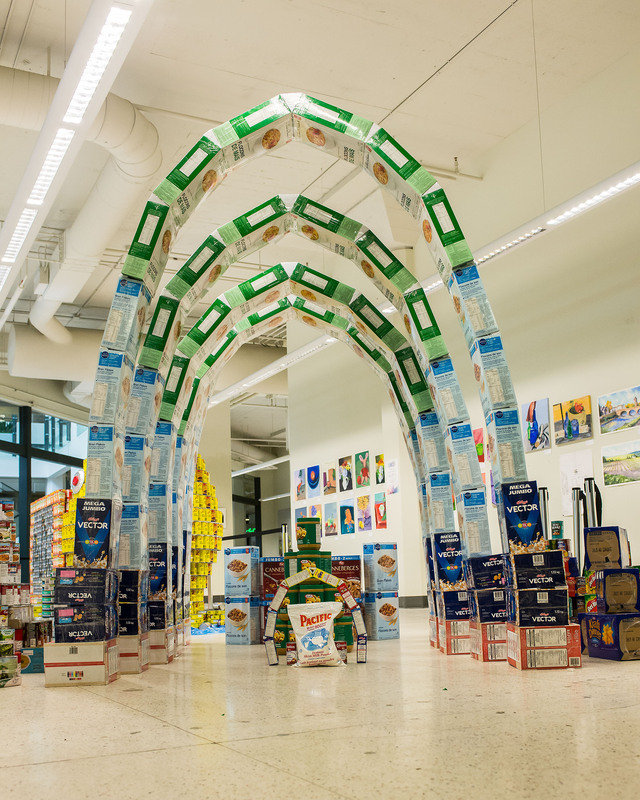 With a strong foundation of one of the most needed foods, the arches not only span the sculpture space but help others span the day! Special Thanks to our other team members: Other team build members; Warren Rego and Becki Stewart. 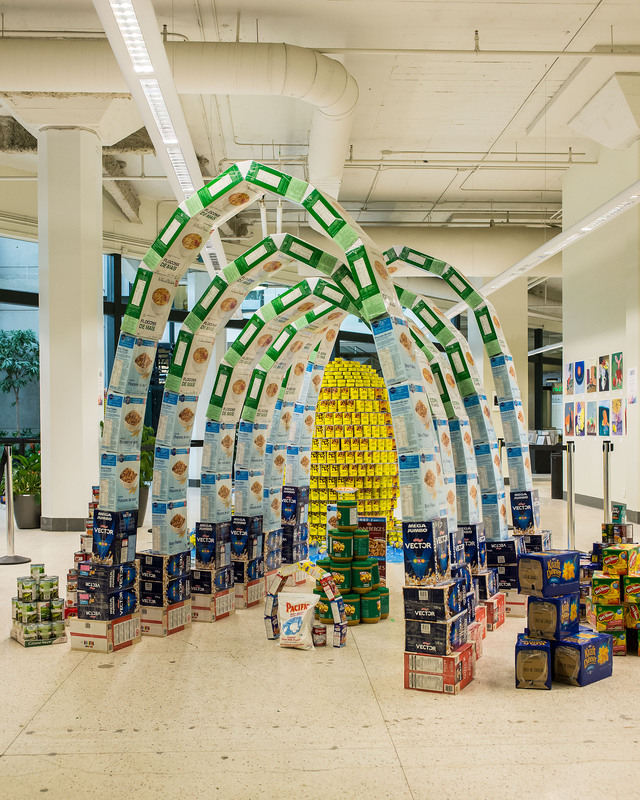 A special thank you to the following AECOM staff for their involvement; Irene Fedan, Jessica Ham, Katherine Lacky, Marcel LeBlanc, Shubham Mohan, Ellen Oliver and Ryan Pittman. 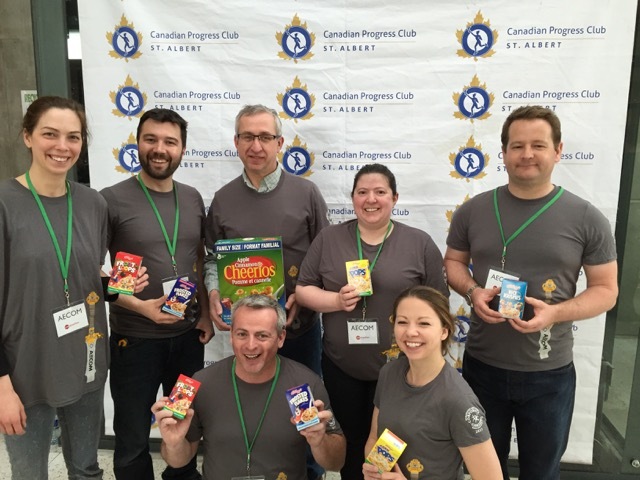 Special Thanks to (supporters): A special thank you to the staff in the Edmonton office of AECOM Canada Ltd. Our efforts would not have been possible without their generous support and the support of AECOM. 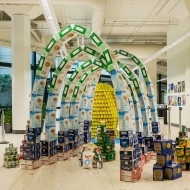 We look forward to making this an annual staff event.